Hot rod culture is typically an American phenomenon. But the French have tried their hand at it with occasional positive results. 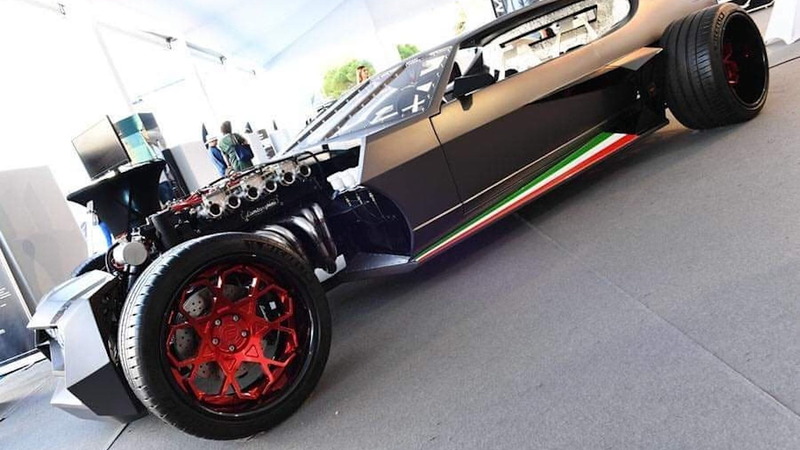 France-based shops Danton Arts Kustoms and Carrosserie Hervé created this Lamborghini Espada hot rod, and it has all the elements of hot rod style though in a more modern package. To start, the shops nailed the profile. The Espada is low-slung, chopped, and positively menacing. According to the Danton Art Kustom's website, the project started with a conversation between the shop's founder Alexandre Danton and Hervé Castagno of Carrosserie Hervé, who had acquired a 1970 Espada. Castagno had decided he wanted to commemorate the car's 50th anniversary (the first model year was 1968) by doing something special. Together, the two shops let their creativity run wild. The result is seen here. Guided by the word "Espada," which refers to a matador's sword in Spanish and Portuguese, the shops worked to make each sheet metal cut look as if a sword had made a precision slice. They did a drawing first, then translated that to a digital design, and finally to the the car itself. 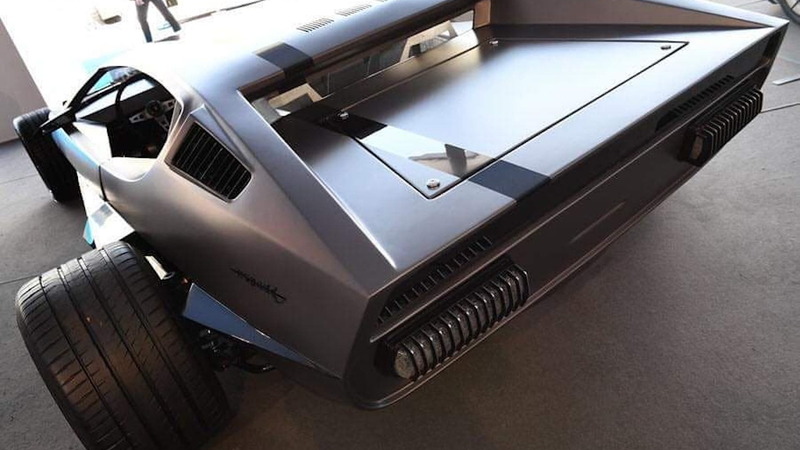 Up front sits a new Lamborghini V-12 engine, though we don't know much power it produces. 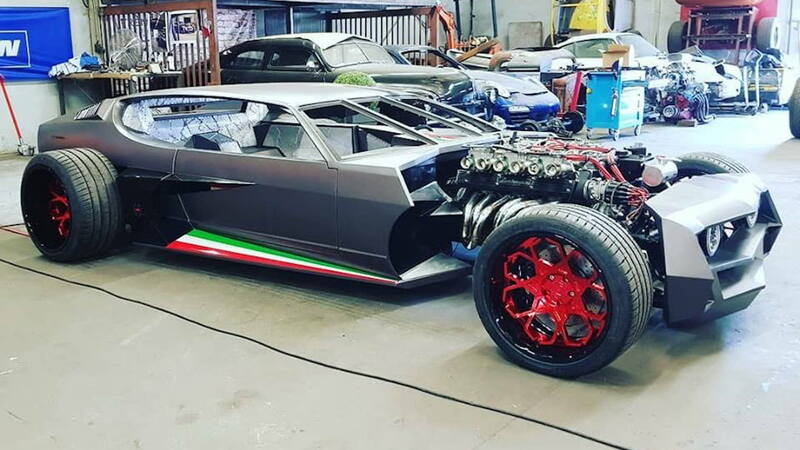 Nor do we know what else what into the build, or how much of the original Espada remains. From the sound of it, the build is still very much an Espada at heart. In one final nod to the car's heritage, the shops donned the side panels with green, white, and red stripes. 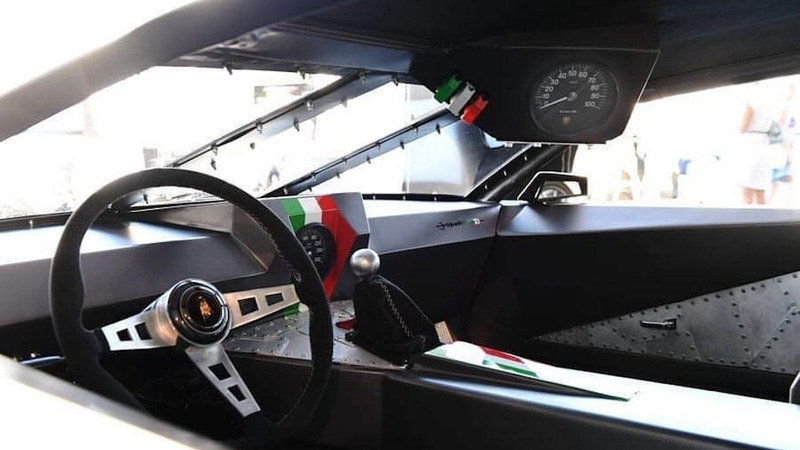 The style is similar to some of Lamborghini's modern track machines and we think it's an excellent touch to commemorate the sedan turned Italian hot rod. Danton Arts Kustoms seems to have knack for building European hot rods. Other cars it has done include a Porsche 964, a 911 Targa, and a Peugeot 201. The shop has had plenty of experience with American cars, too. A handful of Jeeps, a GMC, and Chevrolet have all experienced the Danton Arts Kustoms touch.